After having initial contact with Notre Dame back in the summer, Izayah Cummings‍ has been set to visit South Bend this weekend for more than a month, so the 2020 Kentucky wide receiver is excited. “I’ve had plans to come up for the Florida State game for a while, so I’m just looking forward to this game,” the 6-foot-4, 208-pound junior said. The Louisville native wants to get a better understanding of the program, especially the offense. “I’m looking to see some passing and for wide receivers to make plays because that’s what I like to do, I like to make plays,” he said. The Louisville Male High School standout already has double-digit offers from schools like Kentucky, Louisville, Cincinnati, Duke, Indiana, Purdue, Missouri and Virginia among others. “It’s pretty awesome to have that many offers starting my junior year,” he said. “It’s amazing for real. 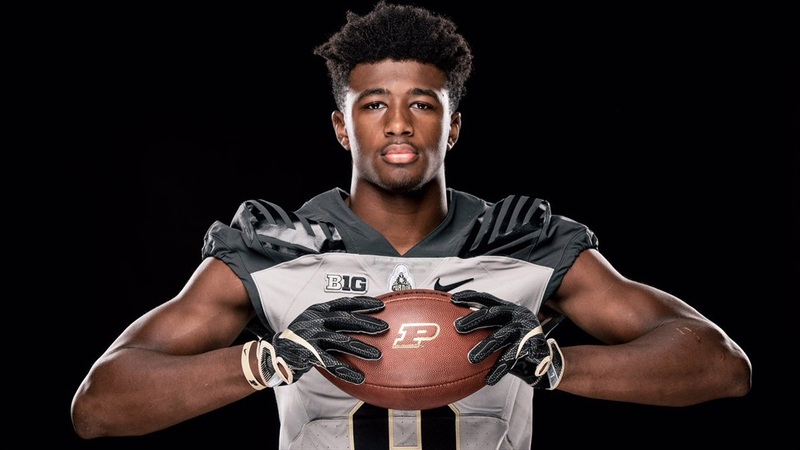 Cummings has visited Ohio State, Tennessee, Kentucky and Cincinnati for camps this summer and has also been to Purdue, Kentucky and Louisville this fall. Education will be one of the primary factors for Cummings’ ultimate decision.